Everyday Issues - Motivation, Political Developments, Relationship & Family. Detectives attached to the Zonal Intervention Squad, Zone 2 Command, Onikan, Lagos have arrested a herbalist in an attempt to sell human parts. The woman, simply identified as Toyin, was brought to the herbalist’s house for treatment of undisclosed illness, but died there. 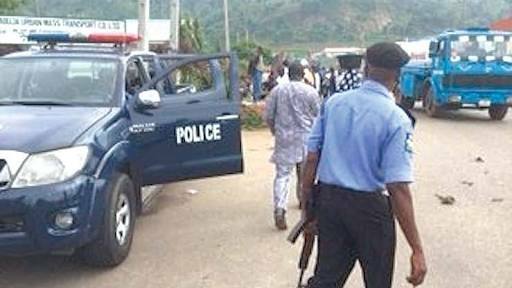 The 48-year-old suspect, Ibukun Moses, was said to have been arrested in Igbokoda in Ondo State. It was gathered that immediately the lady died, the herbalist contacted her family to come and take her for burial. However, the family members decided to bury her in Igbokoda with the assistant of the herbalist who took them to a cemetery where she was buried. After Toyin had been buried, the herbalist went back to the cemetery and exhumed her corpse and cut off her head, jaw, the two hands and some other vital organs. The herbalist ran out of luck when the victim’s family members went back to Igbokoda a week after she was buried to pray for the repose of her soul at the cemetery, but they discovered that her tomb had been tampered with and the matter was immediately reported to the ZIS office at Obada-Oko area of Ogun State. Immediately, the matter was reported the herbalist was arrested in his shrine at Igbokoda, but denied knowing anything about the incident. During interrogation, the herbalist later confessed to the police that he exhumed the corpse of the lady in order to sell her body parts to his co-herbalists who might want to use it so that he could buy foodstuff for his family. Confirming the incident to journalists on Monday, the Zonal Police Public Relations Officer, CSP Dolapo Badmos, said the case is under investigation. Battle In APC Over Tinubu's Plan To Contest For President With Buhari's SGF? WWW.OLUFAMOUS.COM. Awesome Inc. theme. Powered by Blogger.